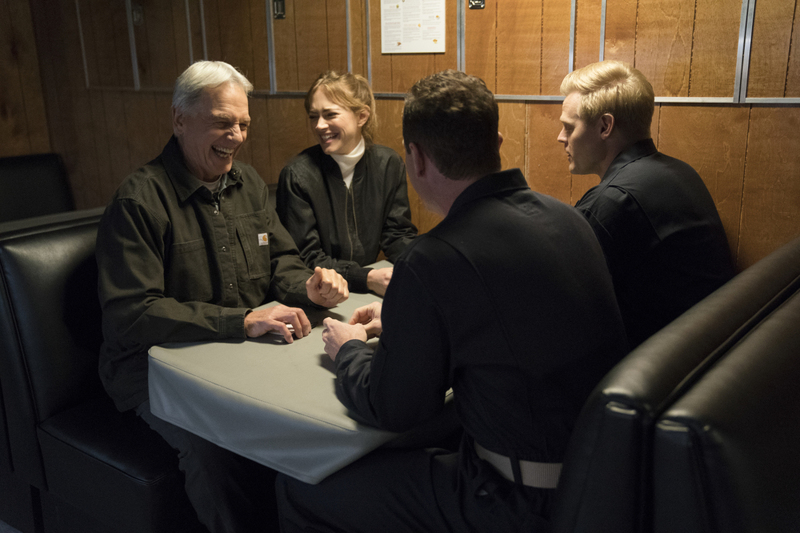 Preview images and guest cast list for the NCIS episode "Silent Service"
“Silent Service” is the title of the next new episode of NCIS which will air Tuesday, March 26 on CBS. Director Vance is notified by the Pentagon that the nuclear submarine Gibbs and Bishop are aboard to conduct a murder investigation has gone radio silent, on NCIS Tuesday, March 26 (8:00-9:00 PM, ET/PT) on the CBS Television Network. Series star Rocky Carroll directed the episode. Some promotional photos to preview the episode can be found below. NCIS stars Mark Harmon (NCIS Special Agent Leroy Jethro Gibbs), Sean Murray (NCIS Special Agent Timothy McGee), Emily Wickersham (NCIS Special Agent Eleanor “Ellie” Bishop), Wilmer Valderrama (NCIS Special Agent Nicholas “Nick” Torres), Maria Bello (NCIS Special Agent Jaqueline “Jack” Sloane), Brian Dietzen (Dr. Jimmy Palmer), Diona Reasonover (Forensic Scientist Kasie Hines), Rocky Carroll (NCIS Director Leon Vance), and David McCallum (Dr. Donald “Ducky” Mallard). Guest stars in “Silent Service” include Matthew Bellows (Navy Captain Reginald Barkley), Arlene Santana (Navy Chief of the Boat Constance Shaw), Tommy Walker (Navy Petty Officer First Class Justin Hardy), James Ferris (Navy Lieutenant Commander Gregory Pullman), Michelle Boyd (Navy Chief Petty Officer Emily Ross), Ransford Doherty (Navy Seal Petty Officer Second Class Zachary Harper), Megan Gallagher (Under Secretary of the Navy Jennifer Leo), Tracy Howe (Navy Culinary Specialist Brian Kalr), Ethan Flower (Fire Chief Alfonso Romero), Josh Trant (Navy Chief of Watch), and Mark Fite (Walter Miller).